Equipped with Fuji brand film 400iso with 27 color pictures + new battery. A fun for all ages, no guest it's boring! Individually for every occasion. The brand film backs up your irreplaceable recordings on indoor and outdoor scenes. Your guests take the photos of your ceremony, live and in color. Each guest is your photographer, you will receive images that others dream of. The camera is reloaded, for the sake of the environment! Each camera can be provided personally to you with text front and back. Texts please order at the end of a message.
" We have here some Pimpcam - Design designed, you can only acquire with us on the disposable camera. You have STATEMENTS IN ORDER the possibility to label this cam personally by a saying for the back of the camera and the name and date or any other text for the front of the camera. 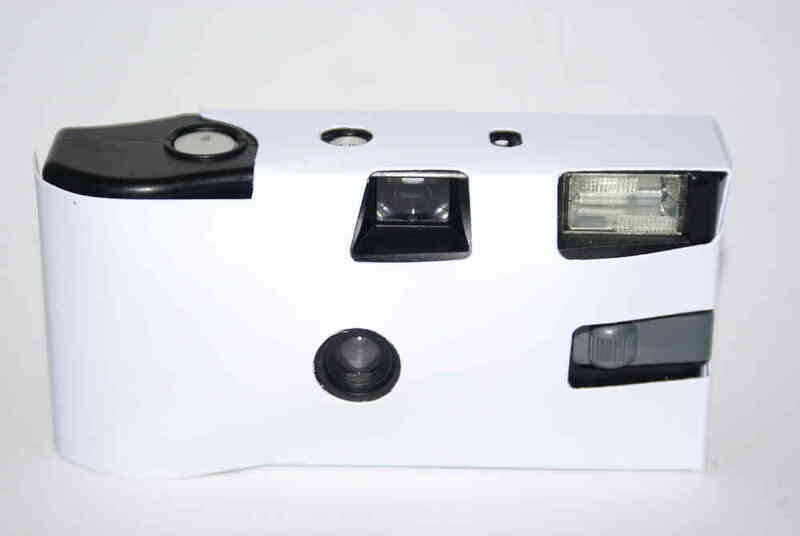 We supply: Disposable camera with flash, with branded film 400iso with 27 color images + battery, as well as your label. A fun for all ages, no guest it's boring! Individually for every occasion. The brand film backs up your irreplaceable recordings on indoor and outdoor scenes. Your guests take the photos of your ceremony, live and in color. Each guest is your photographer, you will receive images that others dream of. The camera is reloaded, for the sake of the environment! Weight = 125 g - delivery up to 40 cams per delivery for a flat shipping rate. When delivering higher volumes fall to higher shipping costs. Upon delivery within GERMANY a flat rate of € 6.90 applies. - For delivery to other countries please visit: see SHIPPING COST. Here is the ADDITIONAL ARTICLE book! " You can use these motifs " Motive for individual Cams " , which we have purchased for the pimp of disposable cameras to download to pimp the cams. PIMPCAM need. See also COPYRIGHTS. New PIMP CAM - BIRTHDAY CAMERA "Happy birthday"